As a team of progressive thinkers, we at V-Guard believe that every individual is equipped with a certain special skill that if nurtured carefully would bring about a big change to the organization and our work culture. That is why we engage various training sessions with an aim to hone the skill sets of our team members in the best possible way. 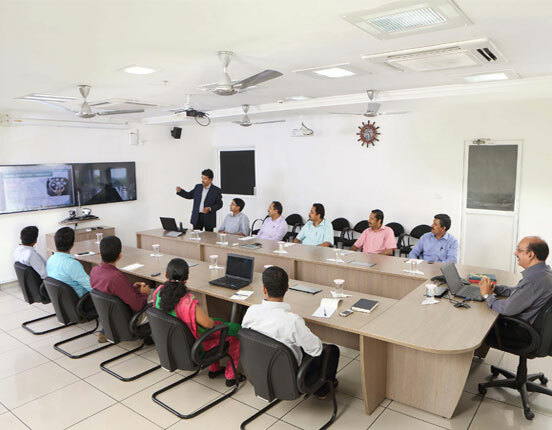 External training sessions, Outbound training sessions, Internal training sessions - not only does these sharpen their talents, but keep them future ready in the evolving dynamic business environment. There’s nothing more important to V-Guard than the health of our employees. Keeping this in focus, there are a slew of facilities like a treadmill to shape up, yoga for the nurturing of a healthy lifestyle among our team members and of course the annual check up to ensure that all parameters of our valuable employees are ticking well. Team V-Guard is made up of a culturally and ethnically diverse populace. One gets to interact with people from all parts of the country and mingle with some of the best minds in the sector. 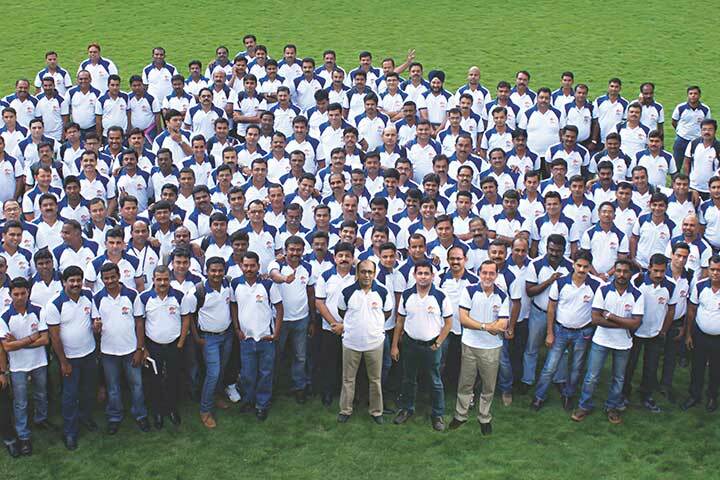 What makes V-Guard a much sought-after workplace is indeed unique: our people. At V-Guard, we have developed a culture of celebrating special occasions with splendour. Onam, Christmas, Ramadan - all festivals are made big with due importance to each. Apart from celebrating the cultural heritage of India, we also make it a point to give our team members the very best of times by conducting sports events such as cricket tournament, football matches and also a special sports day. Safe work environment for women! Safety of women employees is a factor that most new-age companies neglect conveniently. But not at V-Guard! We ensure that every woman employee is given due attention and care and work as equal partners. This is indeed the reason why there is a large women workforce in our team and the gender equality factor is prominent here. Recreations for mind and body! Happiness is all about those leisure times you spend after work. At V-Guard, one wouldn’t even have to go seeking them as they are well within our premises. Table Tennis, Carroms, Badminton are among the top-rated delights in our court. Not to mention the occasional departmental tours that lets our members let their hair down. V-Guard has a cafeteria serving delectable cuisine at subsidised rates. Moreover V-Guard has an in-house lodging facility that offers a comfy stay for the team members with all basic amenities that they need for a good personal routine. Our Corporate office building is constructed keeping the principles of Green Building in mind. A 12-storeyed, environment-friendly wonder. The structure uses energy efficient sources primarily for electricity with maximum emphasis given to power conservation. The variety of plants grown in each floor of the building acts like an outer cover, enabling cooling in the interiors. Through efficient rain-water harvesting, the office finds its water source to run through a year. Minimum pollution, minimum impact on environment and minimum usage of important resources - and the results, maximum for sure.